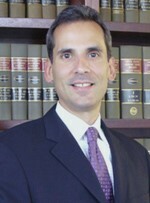 John J. Hughes joined the Bertine, Hufnagel firm in 2001. His practice is focused on litigation involving trust and estate issues; real estate disputes (including landlord/tenant cases); and other contested commercial matters. When he is not zealously advocating in court on behalf of his clients, Mr. Hughes represents both corporate and individual clients in the drafting and negotiation of real estate contracts, leases and construction contracts.